We've written step by step instructions on creating an invoice as well as a run down of what a professional invoice includes. We'll be using our generator to create an invoice since it includes all relevant sections and allows wide customization. By default you'll see a new blank invoice template. You can email your invoice, download a PDF copy, or share your invoice as a link, all using our invoice generator. If you email your invoice directly from Invoice Simple, we’ll notify you when your customer views the invoice — useful for following up with them later. If you send a link to your customer, they can download or print the invoice from the link. There are 9 main elements of an invoice. When making an invoice you should pay attention to add all of them to your invoice. Headers that clearly state the document is an invoice can be extremely useful when sorting through multiple documents. This will save you time when reviewing your records or completing taxes. Many companies include their logo on the right hand side of the header. In the image above we don't have a logo and that's perfectly alright as long as the rest of the invoice is laid out properly. When creating an invoice, you should include the Legal name and contact details (address, phone number, email address) of your business. Usually company information is written near the top of the invoice and clear differentiation between the company providing the goods or services and company buying it. Clearly state the Name of the customer so there is no confusion between the Purchaser and Buyer. An Invoice Number is a unique identifier for an invoice. Invoice Numbers can help you keep track of multiple invoices. Invoice Numbers can be structured in various ways including file numbers (INV0001), unique billing code, or date-based purchase order numbers. Make sure to increment the invoice number every time you make a new invoice. If you're our invoice generator this will be done for you automatically. It’s important to include the date the invoice is issued. This can clear up confusion when there are multiple invoices going to the same customer. These are your invoice line items. Each row should include the following: (1) Name of the goods or service provided. (2) Unit price, if you're billing for hours then this should be your hourly rate. (3) Quantity, if you're billing for hours then this should be the number of hours worked. Add any tax, handling or additional fees that are additional to the goods or services provided. These should be listed out separately as line items as some companies use different internal budgets to cover these fees. It might be obvious, but always clearly show the total amount due. One of the most overlooked parts of an invoice is the Terms and Conditions of payment. The standard payment terms vary by industry, your company’s policy, or previous history with the customer. It’s important to clearly state the penalties of the terms are not met which can include late fees or additional charges. You should also add in your preferred payment method (cheque or cash, bank transfer, PayPal or credit card). Then add in your payment instructions, for example if you prefer bank transfers then write your account number and bank name. You need to duplicate and rename your original file every time you want to make a new Invoice. You end up re-typing client and item details even though you've sent them an Invoice before. It's a hassle to organize and find old Invoices. If you want to know how much you've invoiced over a certain period you'll have to open up every single file and manually add up the totals. The first time you use our generator, it'll offer up a blank invoice template. However once you fill out your business information (email, company name, phone number) it'll automatically be saved for all future visits. The same applies to your items, clients and general invoice settings (invoice color, number, currency). The next time you want to create an invoice, the invoice template will automatically be filled with all of your relevant information. The same applies to your clients and items. We'll fill out your entire client information (phone, email, address) as you start typing the client name. 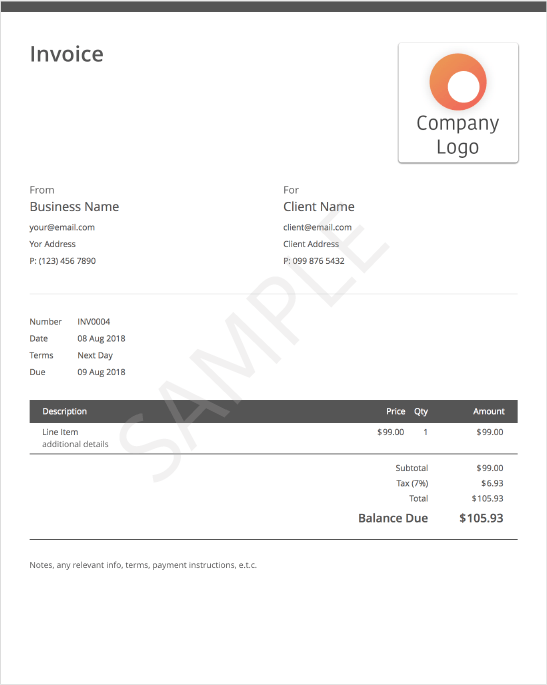 You can share or download a PDF version of your invoice with a click of a button. This is a big time saver compared to using excel or word invoice templates where you need to go through a series of steps to export to PDF, or be sure that your client has the right application to view your invoices. There are a few additional benefits to emailing your invoice through Invoice Generator. One is that your invoice will be suitable for mobile and desktop viewing. 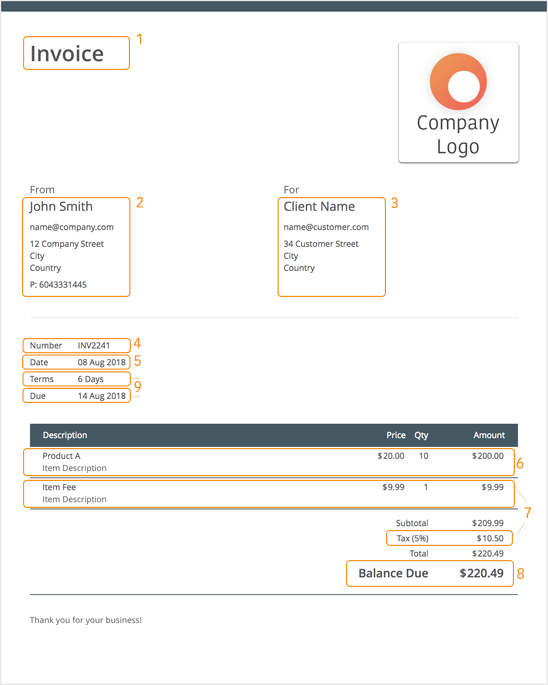 Second is that you'll be notified when your client receives and views the invoice. And thirdly if your client hasn't viewed you invoice after a couple days, Invoice Simple will automatically send them a polite reminder. Instead of working hard, we should work smart! The smart thing is to use the right tool for the job, an invoice generator. Can I see a sample invoice? Can I put my own logo on the invoice template? Yes. Click on the logo box in the top right corner. From there, you can either upload the logo for your Invoice template, or simply drag and drop it into place. JPEG and PNG images are supported. How do I send my Invoice? You can email your Invoice, download a PDF copy, or send your Invoice as a link, all using our Invoice generator. If you email your Invoice directly from Invoice Simple, we’ll notify you when your customer views the Invoice — useful for following up with them later. If you send a link to your customer, they can download or print the Invoice from the link. Will my clients see 'Invoice Simple' on my Invoices? Never. Regardless of whether you have a registered account or not, your generated Invoices are always 100% unbranded. Can I generate a PDF Invoice? Absolutely. 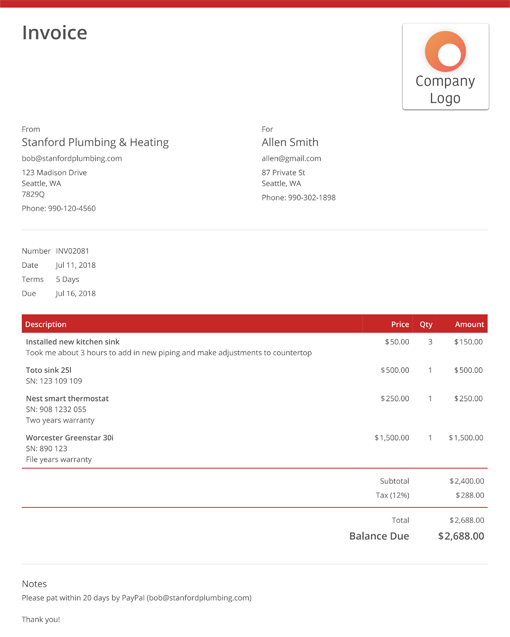 The PDF button at the top of the Invoice lets you instantly download a PDF Invoice that you can save for your records or send to your customer. Yes. Our Invoice generator should detect your currency automatically. However, if you want to make an Invoice in a different currency, you can easily change currencies using the Settings panel on the right. Can I save my invoice and customer details? Yes. 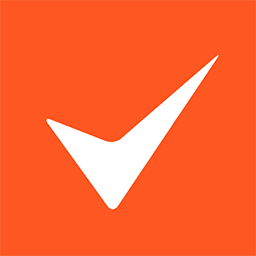 Your Invoices are automatically saved to your Invoices list. There is also a clients list where customer information is automatically saved to. As a freelancer, how do I make an Invoice for time? What works well is to put your hours into the quantity field and your hourly rate into the price field. The Invoice generator will then calculate the amount for you. Is this Invoice generator free? Your first three invoices and Invoices are totally free. You do not need an account or a credit card to start sending free invoices or Invoices. After your first three invoices and Invoices, there is a flat monthly fee of $2.99 USD that allows you to generate unlimited invoices and unlimited Invoices. How do I charge taxes using the Invoice generator? If you'd like your Invoice to include taxes on top of your prices, use the Settings pane on the right to enable taxes. You can also enter a tax rate and label. If your prices already include tax, and you'd like your Invoice to show the amount of tax included, then select the Inclusive? checkbox when enabling taxes. Looking to find out what an invoice really means? Here's a complete explanation of what an invoice is . If that isn't enough of an explanation, then see what Wikipedia has to say about it. Short version though, an invoice or a bill is a document you give your customer, containing what you did for the customer and what they owe you for that service or product. How can I process credit cards for my business? We use a service called Stripe to process credit cards in person (using our mobile apps), or online. If you want to get paid through credit cards, simply sign up and then go to the settings section to set things up. Can I create an invoice in another language?